The dark towel was lying underneath a bush in a park in London, and many people walked by it without a second glance. But one person noticed that the towel was moving and stopped to examine it further. 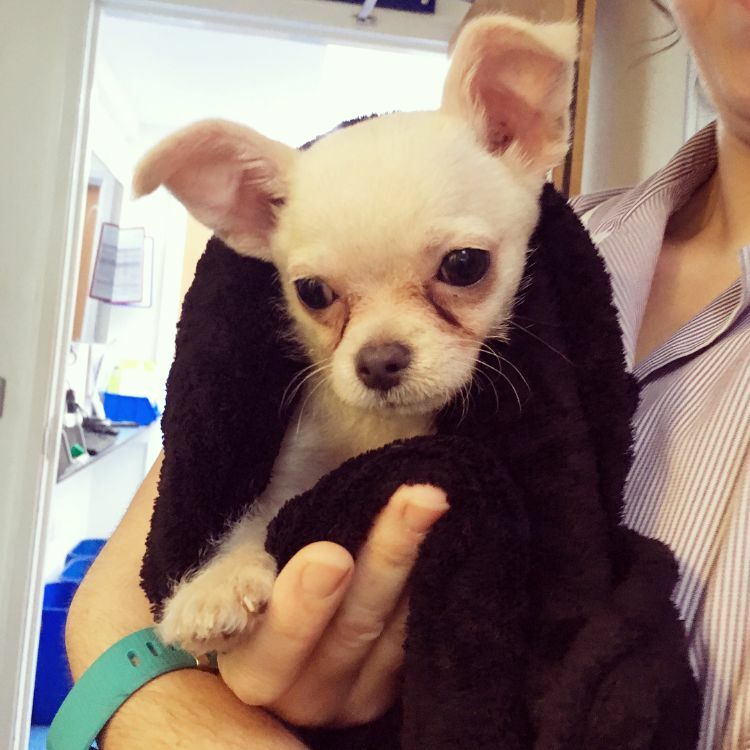 In the towel was a Chihuahua puppy, cold, shivering, and shaking with fear. Had he been left there much longer, he surely would have died. The compassionate person who found him took him immediately to Mayhew, a local animal shelter. 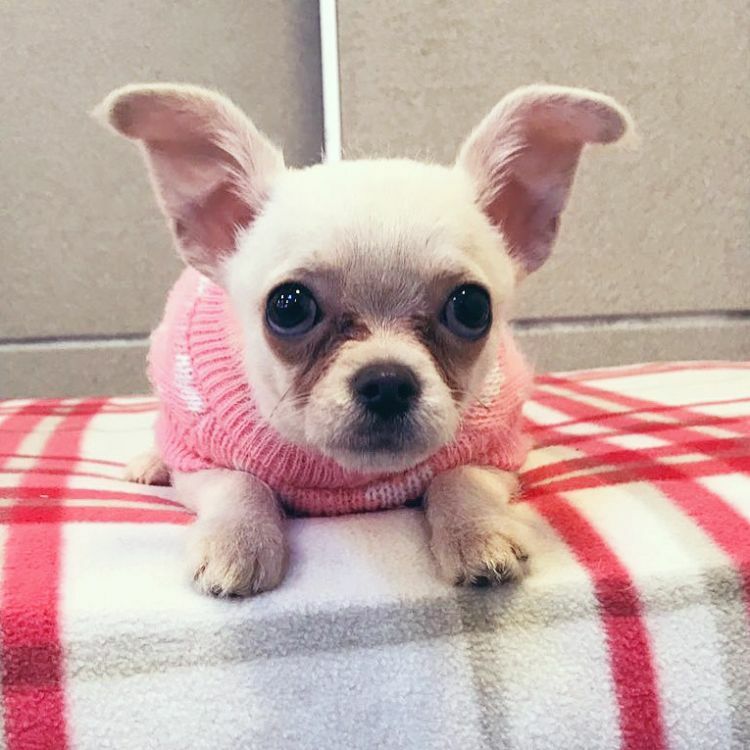 At the shelter, the staff fell in love with the puppy and named him Tiny. 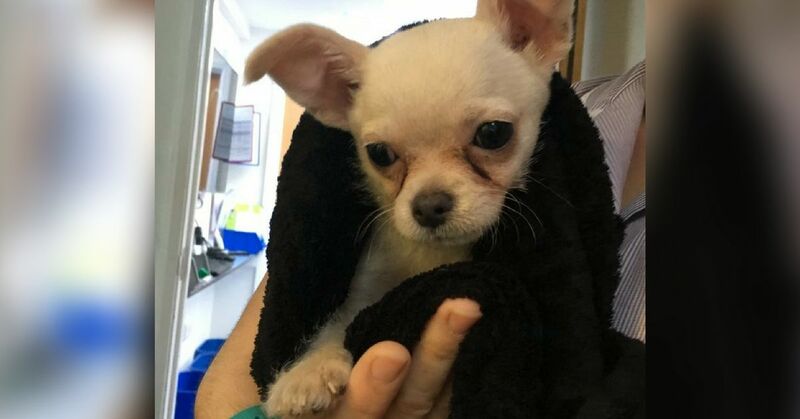 “Poor Tiny was wrapped up in a towel and looked terrified," said AJ Ford, Mayhew’s animal welfare officer. “He was seen by our experienced vet team straight away." Tiny began to receive the care he would need to survive. Tiny was examined by a veterinarian and began treatment for worms and fleas. He began to relax a bit as he realized he was surrounded by people who cared about him. 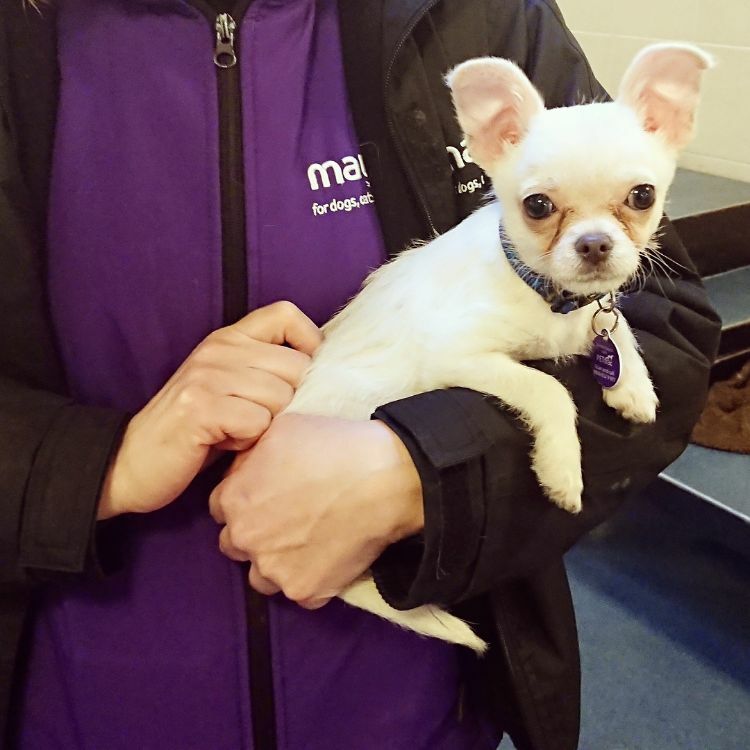 “When Tiny first arrived he was dehydrated and very nervous," Emily Richardson, the Mayhew veterinarian, said. "We monitored him throughout the night, but thankfully he had no health problems that were of concern." 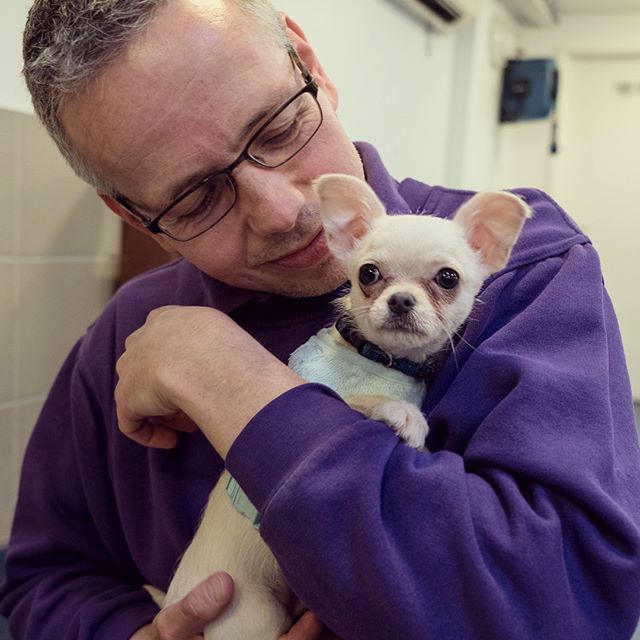 Luckily for Tiny, one of Mayhew's veterinarian staff was smitten with him right away. Melissa, the receptionist, decided to adopt him and give him the happy home he deserved! “Tiny is such a gorgeous boy and I fell in love with him instantly," Melissa said. "What he may lack in size, he certainly makes up for in character and has had us all laughing with his antics from the moment we brought him home." We're so glad that Tiny has a wonderful home and a family that loves him! Share this incredible story with your family and friends on Facebook. This pup pulls off a canine caper that will have you in stitches. Unless, or course, he actually paid for the bag of food! A Christmas story that started in a concrete pen behind a chainlink fence has a happily-ever-after ending.